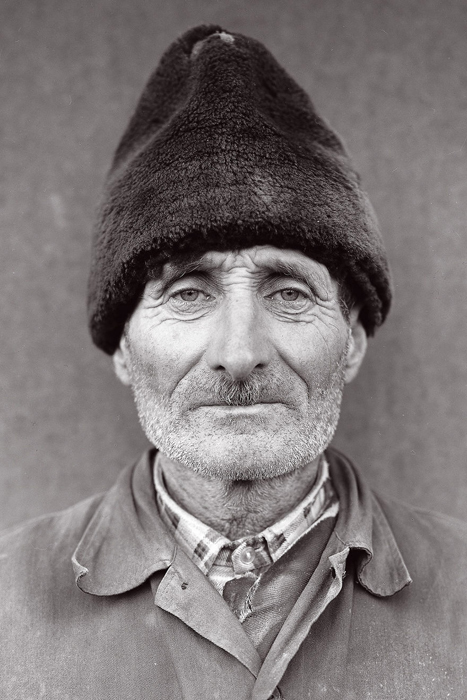 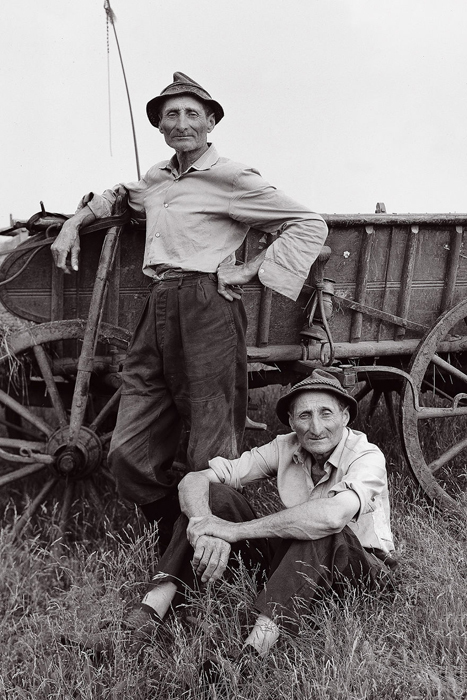 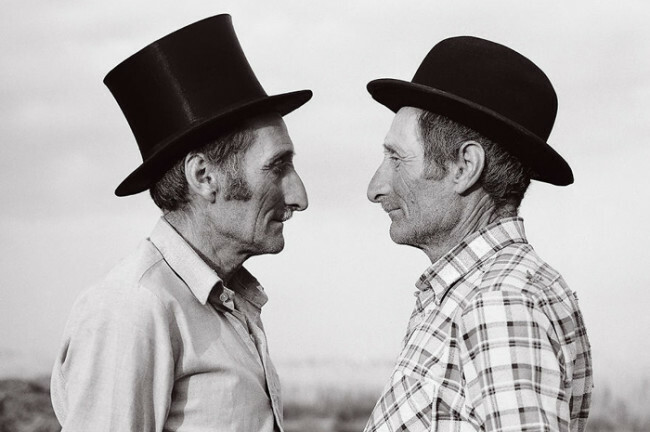 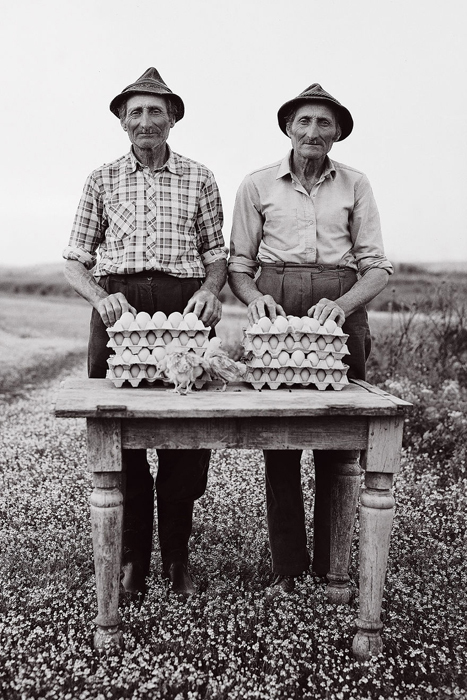 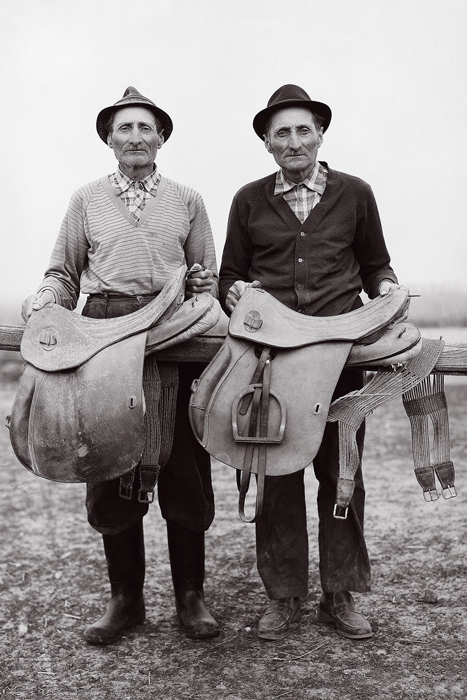 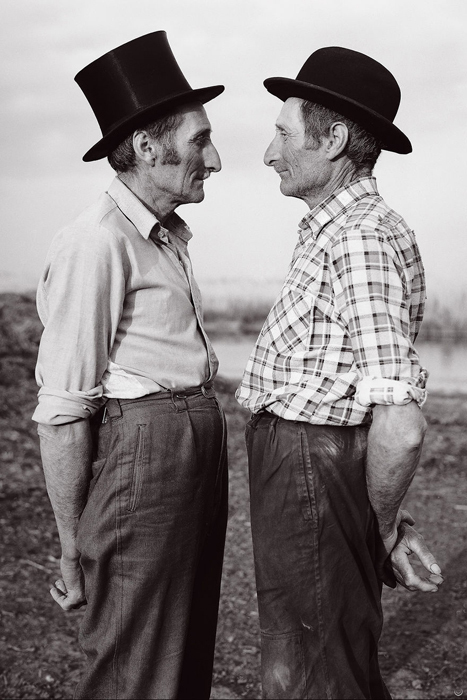 In the mid-1980s, the Hungarian photographer Janusz Shtekovich made ​​a series of portraits of the two 63-year-old twins from farmers Hungarian village. 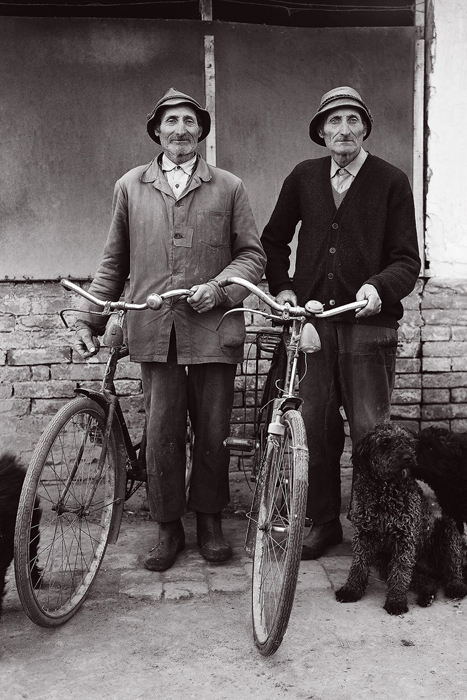 Black-and-white photographs depicted two men who not only looks the same, but even bicycles and motorcycles. 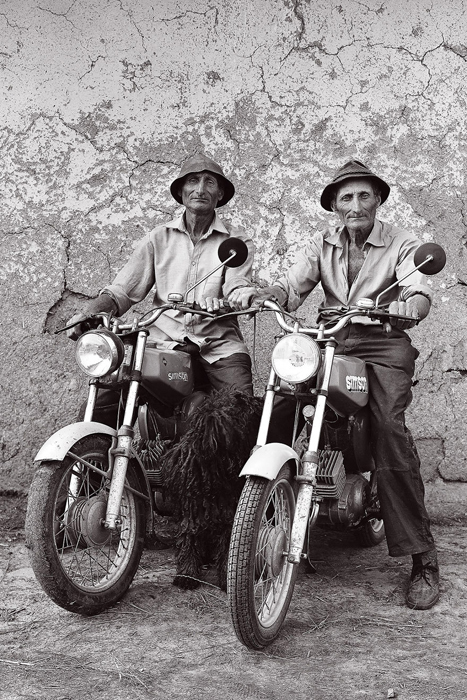 Gemini Istvan and Janusz Lukas lived in the steppe region of Hungary let and for his settled life in the village have accumulated a lot of the same things: two bikes, two traditional pastushechih dress, two seats, the same clothes – they liked so emphasize their similarity and, of course, to enter into misleading the villagers. 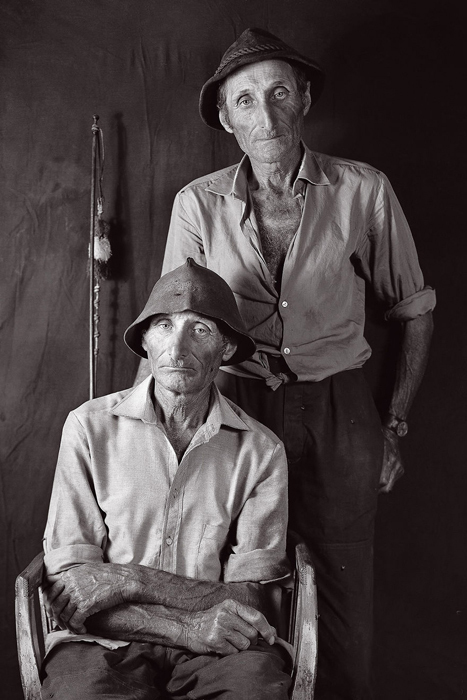 They both lived their lives in a house that is located 5 kilomentah on a busy road in almost inaccessible areas. 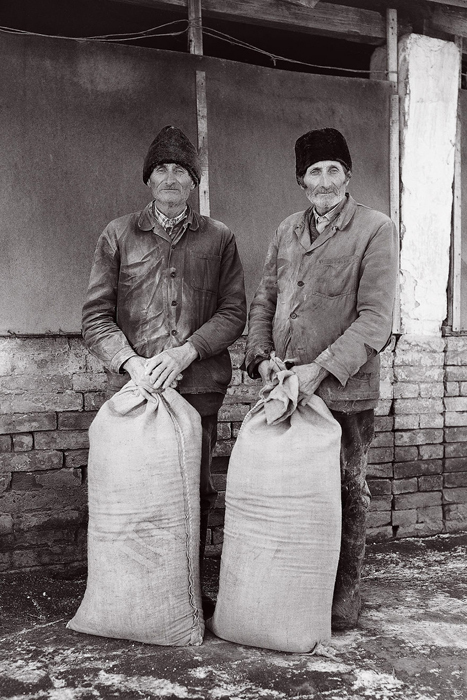 They did not smoke, drink alcohol, but take care of pets and on the garden, which provided them with everything necessary. 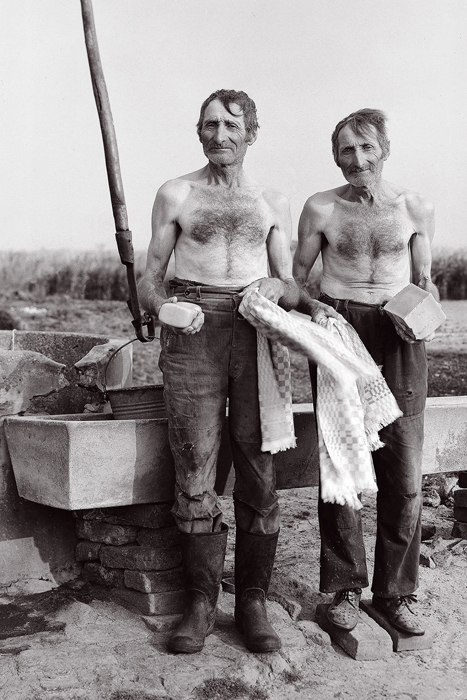 The house was well, and it was their source of water. 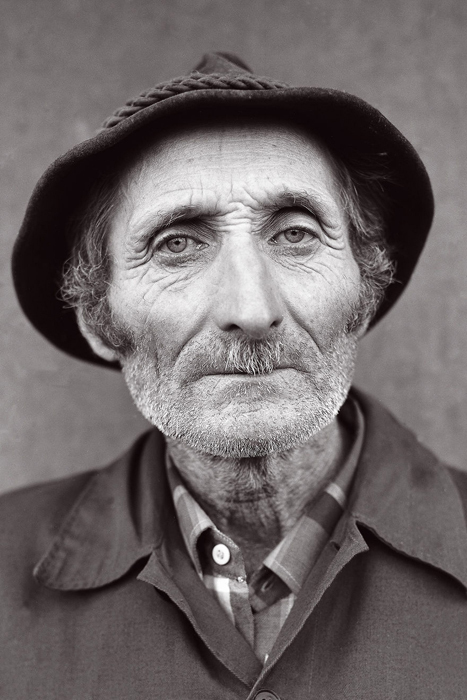 The house had no sewer, no running water or electricity. 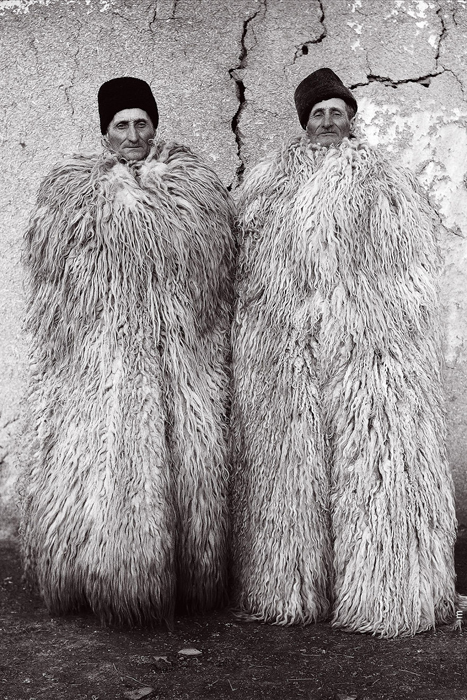 Twins liked the way they lived, they are satisfied.